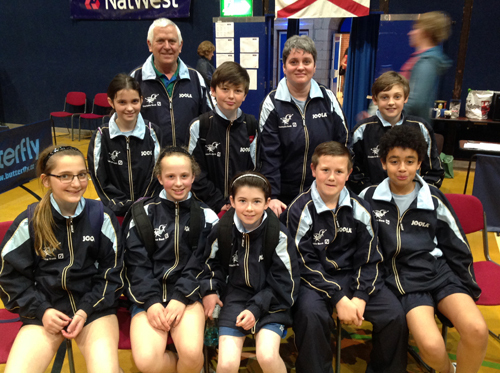 The Guernsey Table Tennis team for the Primary School International tournament took to the floor in Fort Regent in Jersey last weekend to take on the best boys and girls in the UK. The Guernsey Boys team consisted of Luke Bichard, Daniel Collenette, Ellis Tomlin and Josh Lewis and the Guernsey Girls team were Marli Barker, Erin De Carteret, Amy Wesley and Hannah Bourgaize. 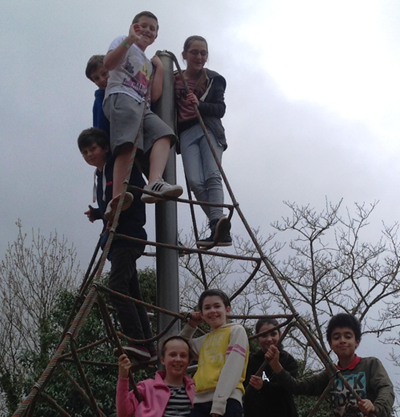 The team travelled to Jersey on Friday to take part in the team event. After a day at Jersey Zoo the teams faced a tough draw with the boys facing England in their first match and then Ireland in the second, the girls faced Wales and Scotland. England proved to be hard opposition with the boys taking a 0–10 beating and the same with Ireland. The girls also found the going tough and went down 0–10. That completed the Friday programme and after an all too brief nights rest we were all back in the hall for the Saturday matches. The nights sleep did the team the world of good and they came out fighting with the boys completing an amazing victory over the Jersey B squad by a fantastic 10–0 margin and they also recorded a victory against Isle of Man boys 9–1. The other matches of the day saw the boys defeated by Jersey A, and Wales. The girls scored a fantastic 5–5 draw against the Isle of Man. Marli Barker beat both her opponents and teamed up with Amy Wesley to win the doubles. Erin De Carteret and Wesley picked up 1 win each to secure the draw. The girls other matches of the day saw them defeated by England and Ireland. On Sunday it was the turn of the individual championships. The players were divided into groups and the top two in each group would qualify for the knock out stages and the losers were placed in the consolation knock out event. For the boys Luke Bichard got through, finishing second in his group, while the other three boys finished third in their groups and took there places in the consolation event. Bichard was drawn against the number 1 seed of England and despite a determined fight Luke went down 3–0. The girls all failed to qualify in their groups and took part in the girls consolation event. With Barker, De Carteret and Wesley all drawn against our Channel island friends Jersey, they all picked up 3–0 wins. In the second round of the consolation Barker picked up a 3–1 win over an Isle of Man girl. De Carteret lost narrowly 11–8 in the 5th to the Isle of Man number 1. Wesley also lost narrowly 3–2 to the Welsh number 3. Marli Barker was now in the final of the consolation to play the opponent that at just beaten her team mate Wesley in the previous round. The Welsh girl again was to strong for the Guernsey player and defeated Marli 3–1. The Guernsey team and the coaches involved in the event can be justly proud of the results achieved and the effort the boys and girls put in.